This widely acclaimed study of biblical anthropology is available once more along with a substantial new preface by the author. Fully engaged with theological, philosophical, and scientific discussions on the nature of human persons and their destiny beyond the grave, John Cooper's defense of "holistic dualism" remains the most satisfying and biblical response to come from the monism-dualism debate. 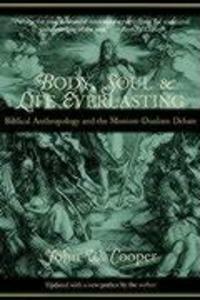 First published in 1989, Body, Soul, and Life Everlasting is required reading for Christian philosophers, theologians, psychologists, and students interested in the mind-body question.